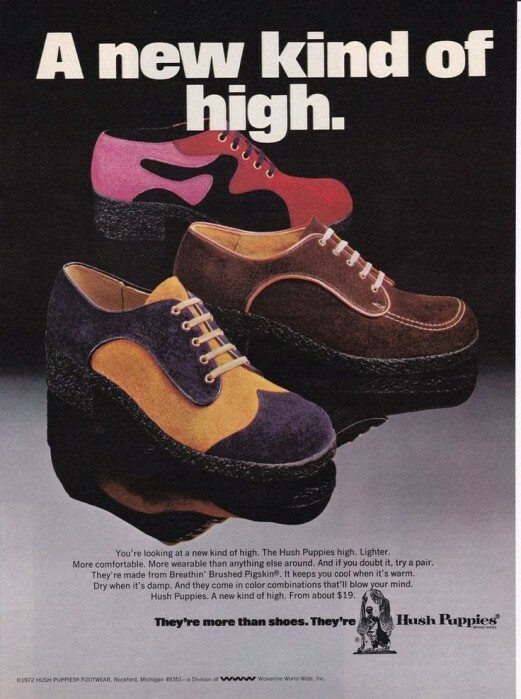 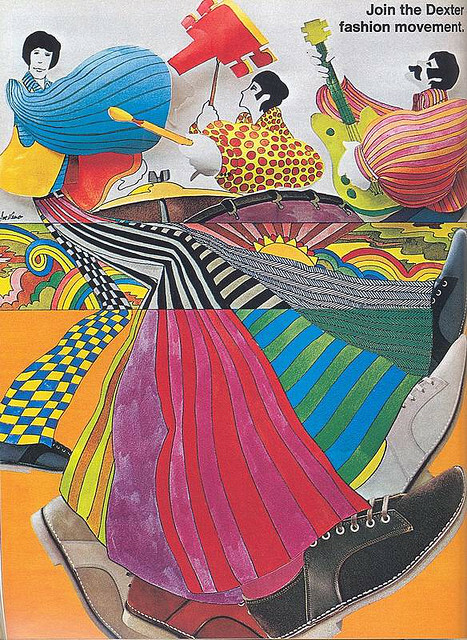 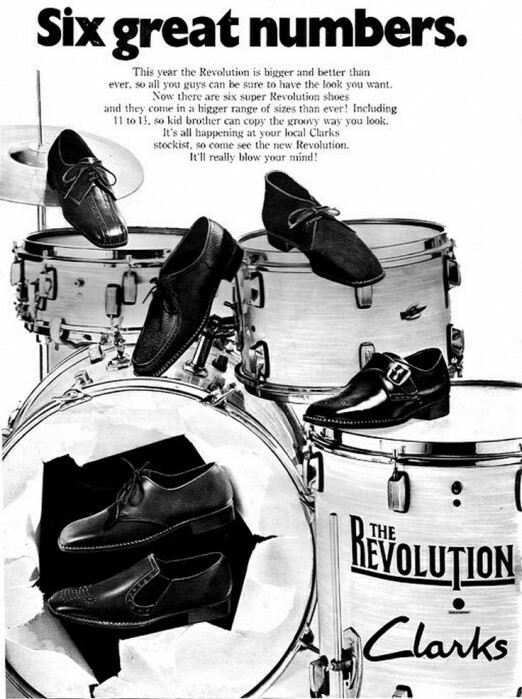 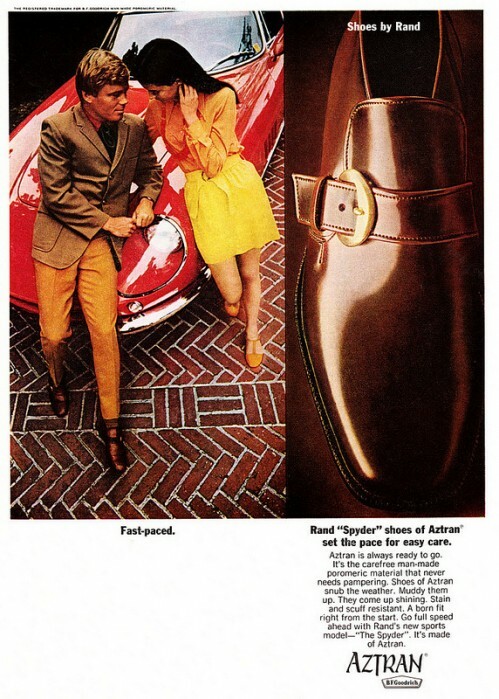 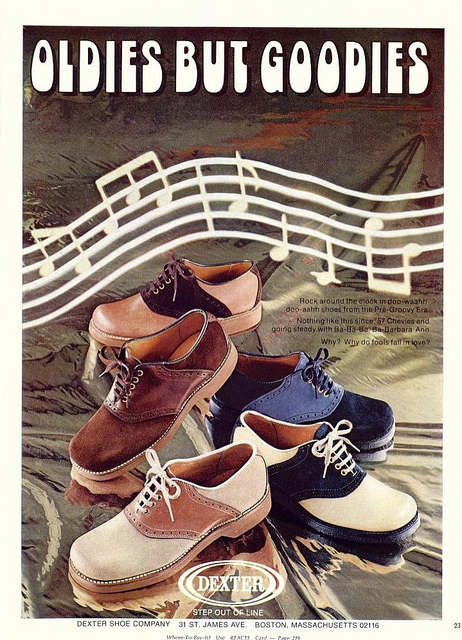 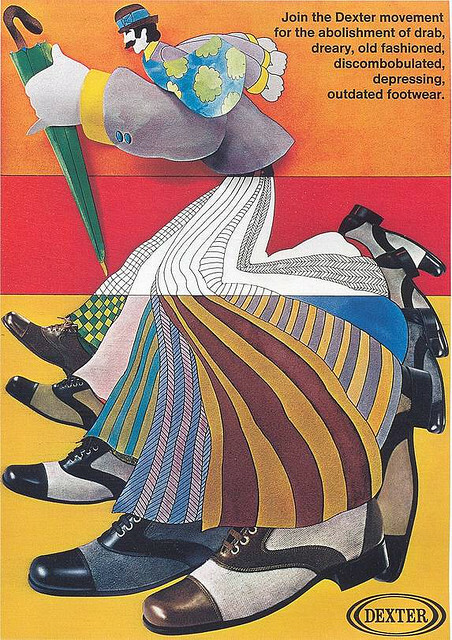 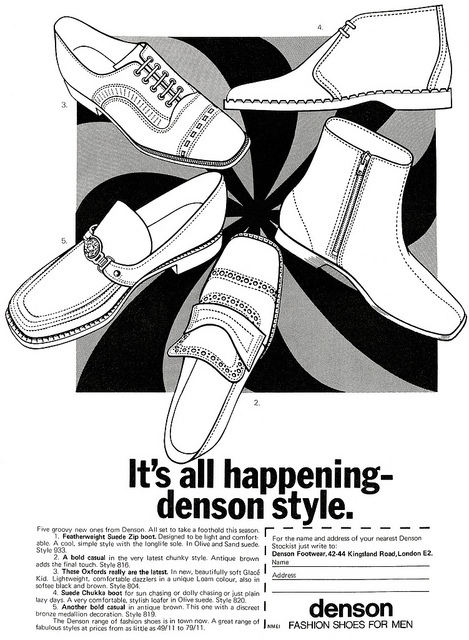 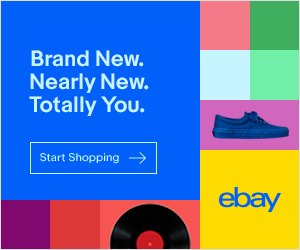 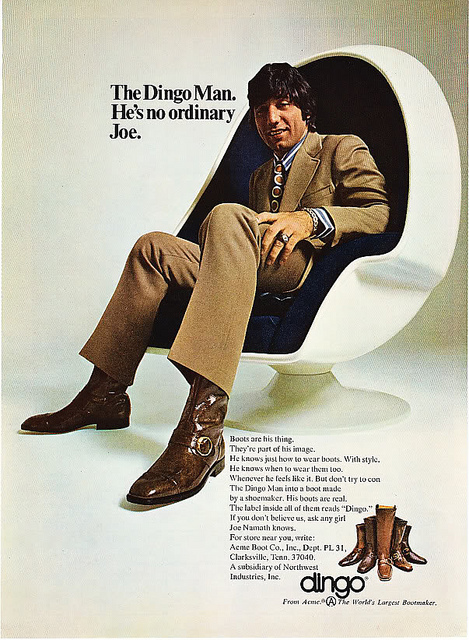 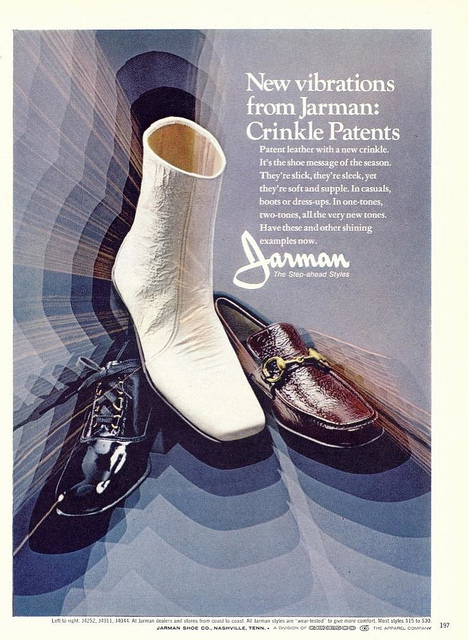 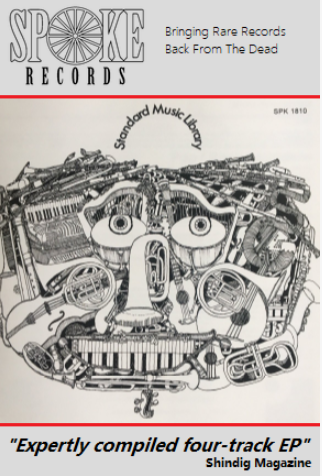 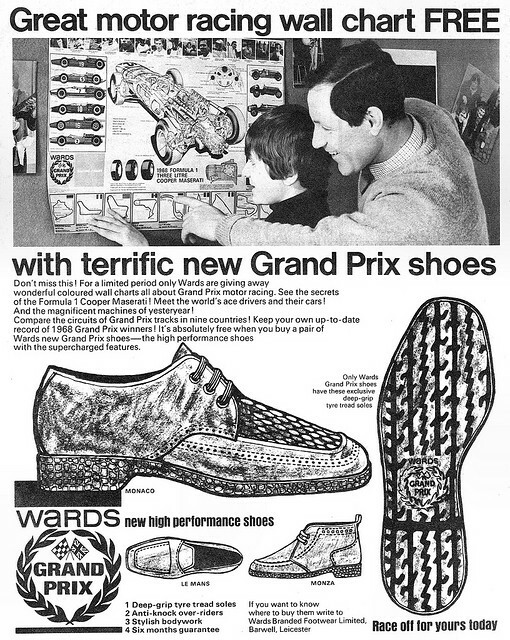 We’ve dipped our toes into the world of shoe advertising before in our Pedwin shoes post which featured a groovy television advert from 1968. 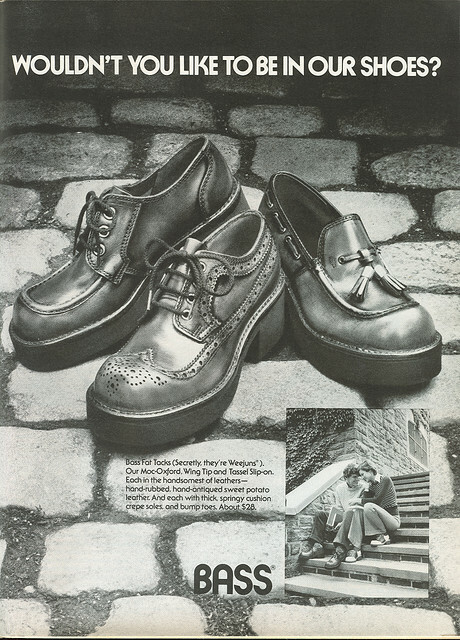 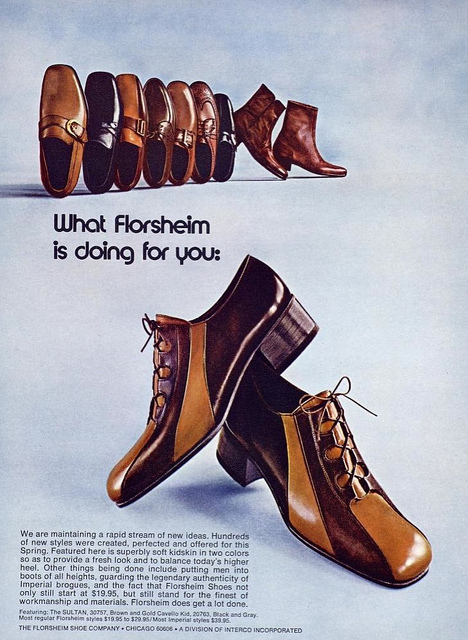 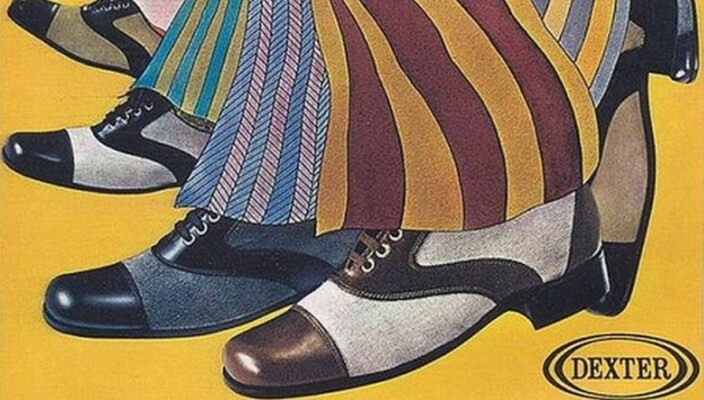 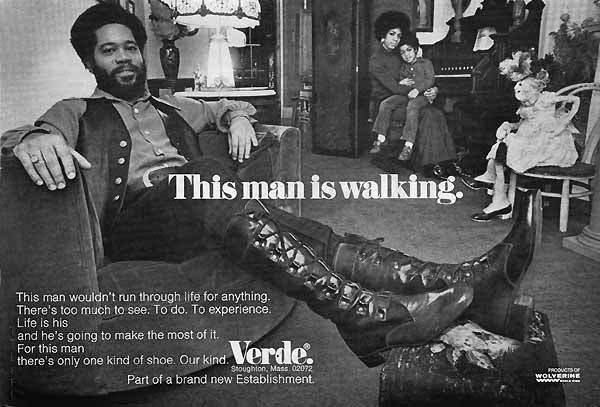 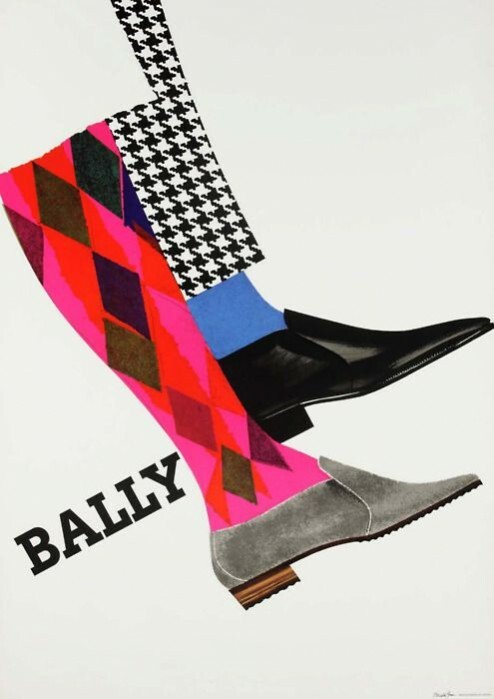 This time we’re taking a stroll into the past as we look through a variety of men’s footwear adverts from different magazines. 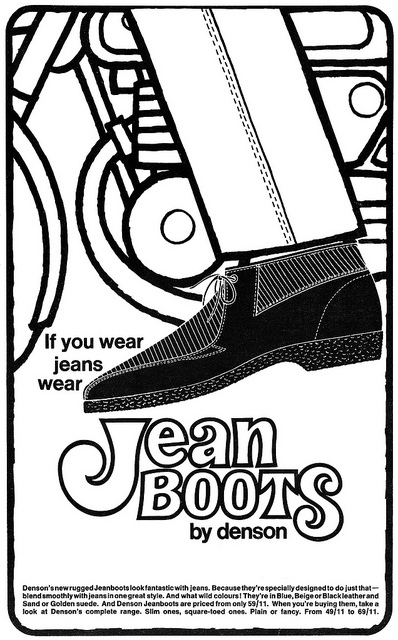 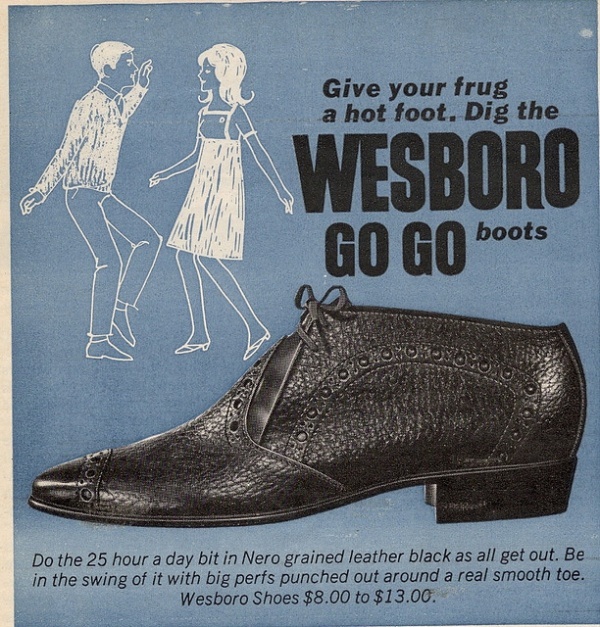 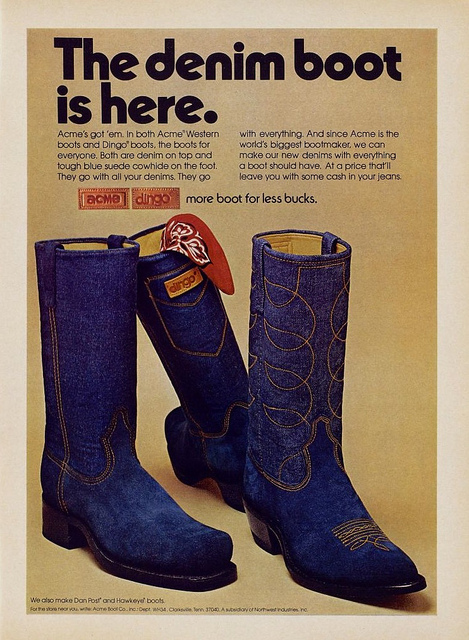 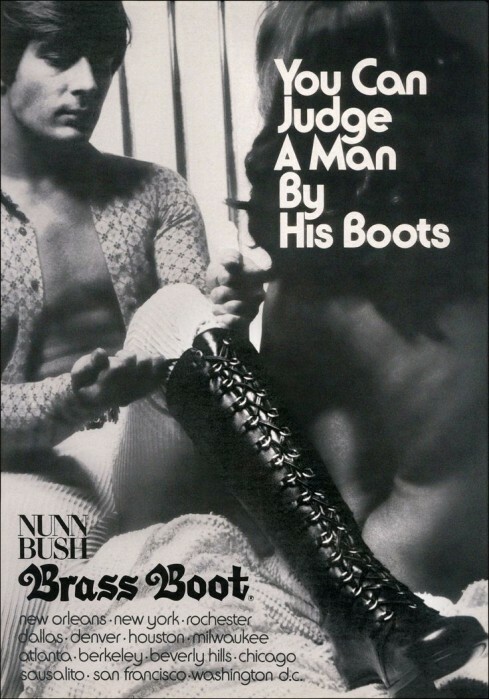 We kick off in the late sixties where you can give your frug a hot foot in some Wesboro Go Go Boots or alternatively wear a pair of cool Jean boots by Denson. 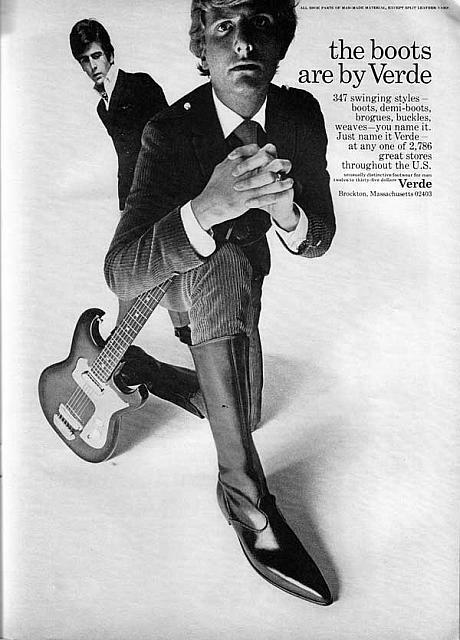 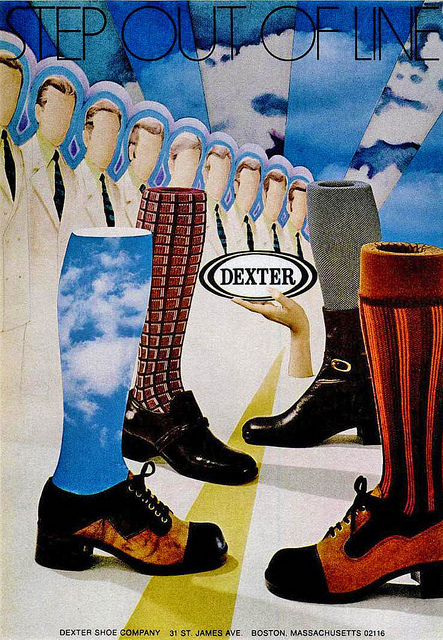 Then we slip into the 1970s with an assortment of psychedelic ads which invite you to join the Dexter fashion movement. 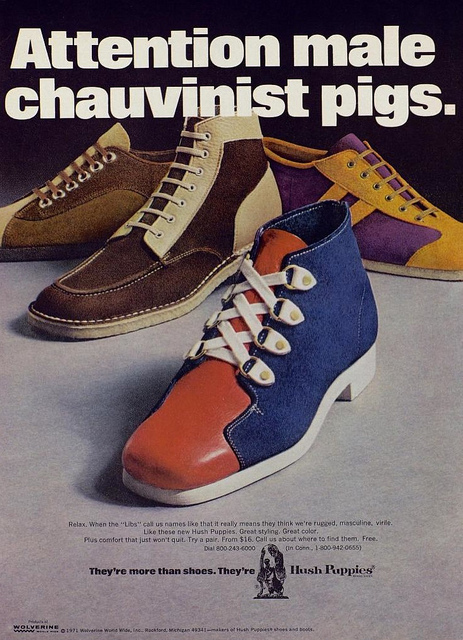 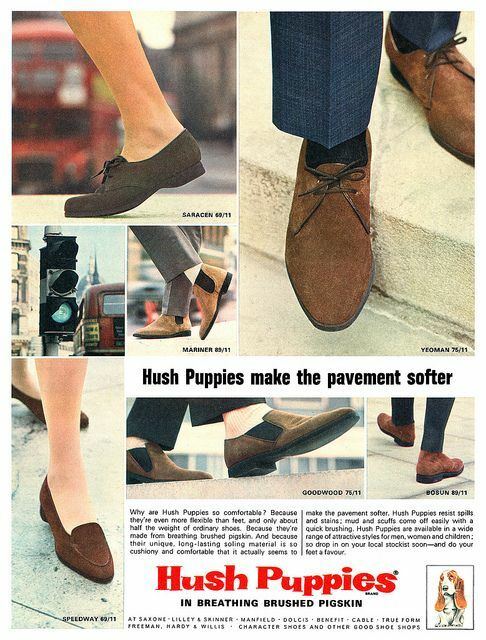 Meanwhile Hush puppies advertise their products by calling out for the attention of male chauvinist pigs – charming.